It's the most perfect AP I've seen in this whole damn war! ^ a b c d e f g h i 平和資料館, 相生橋の生い立ち. ^ a b 原爆戦災誌 1971, p. 5. ^ 原爆戦災誌 1971, p. 7. ^ a b c d e f g h i j k l m n o p q r s t u v w x y z aa 土木学会誌 1950, p. 26. ^ 原爆戦災誌 1971, p. 275. ^ 原爆戦災誌 1971, p. 271. ^ 原爆戦災誌 1971, p. 35-36. ^ 原爆戦災誌 1971, p. 174. ^ a b c 原爆戦災誌 1971, p. 262. ^ a b 原爆戦災誌 1971, p. 280. ^ a b 原爆戦災誌 1971, p. 261. ^ 原爆戦災誌 1971, p. 278. ^ a b c 原爆戦災誌 1971, p. 252. ^ 原爆戦災誌 1971, p. 226. ^ a b 原爆戦災誌 1971, p. 295. ^ 原爆戦災誌 1971, p. 308. ^ a b 原爆戦災誌 1971, p. 71. ^ 原爆戦災誌 1971, p. 752. ^ 原爆戦災誌 1971, p. 1094. ^ 原爆戦災誌 1971, p. 36. ^ a b c 原爆戦災誌 1971, p. 40. ^ 原爆戦災誌 1971, p. 1002. ^ a b 原爆戦災誌 1971, p. 251-252. ^ 原爆戦災誌 1971, p. 488. 米国戦略爆撃調査団 (1946). 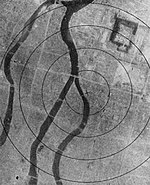 The Effects of Atomic Bombs on Hiroshima and Nagaski. アイビブリオ. http://www.ibiblio.org/hyperwar/AAF/USSBS/AtomicEffects/ 2017年6月7日閲覧。.